The new music which kick-starts his 2019 project, follows his Christmas song 'Merry Christmas Yal' released back in December. Teddiizzle's consistency is not something we can overlook as he works towards showing his versatility in delivering good music. 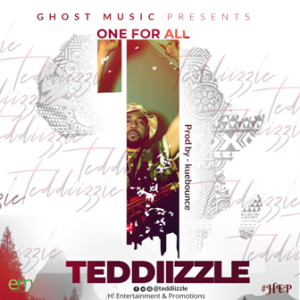 'One For All' contains simple constructed lyrics performed by the Ghost Music artiste, preaching unity between the blacks, especially in Africa.